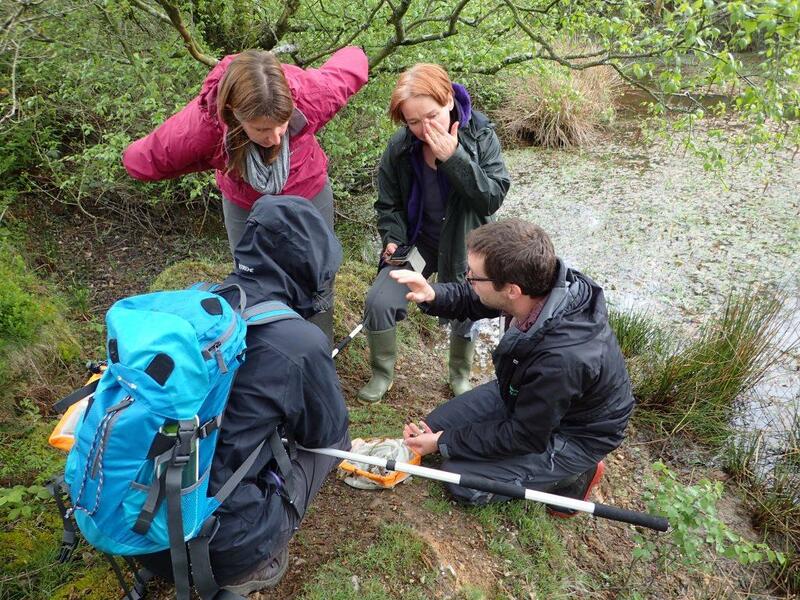 The Natural Futures survey team visited the two ponds on Blackdown Common in May 2015 to seek out some rare newts. The great crested newt is a stunning amphibian, with its fiery belly colouration and ragged crest it cuts a rather imposing figure next to its native relatives, the smooth and palmate newt. Sadly however this species has seen steep declines over the course of the last century, largely as a result of the gradual abandonment of farm pond maintenance resulting from the introduction of drinking troughs. 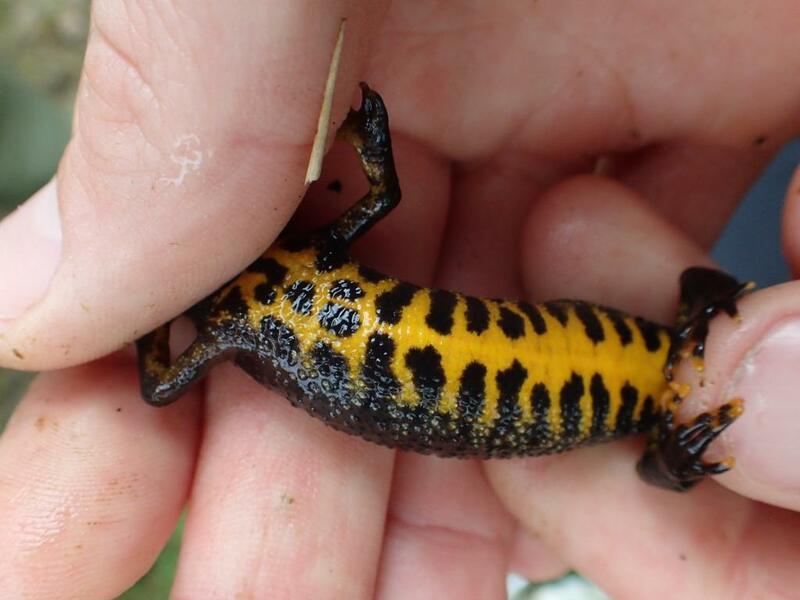 As a result of this, great crested newts are now fully legally protected. The team visited the two ponds on Blackdown Common to see whether that habitat was suitable for this species. 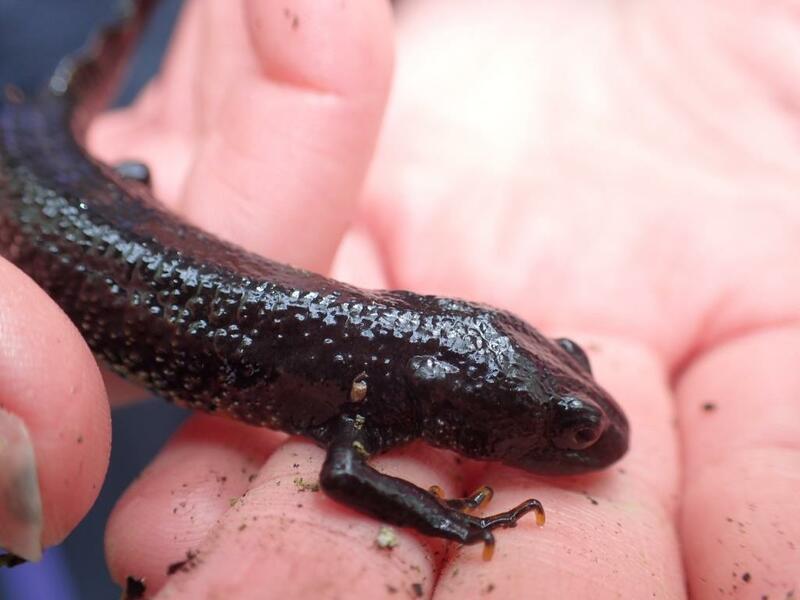 Results were excellent, with astonishingly large numbers of great crested newts found in one pond, and good numbers of palmate newts found in the second. 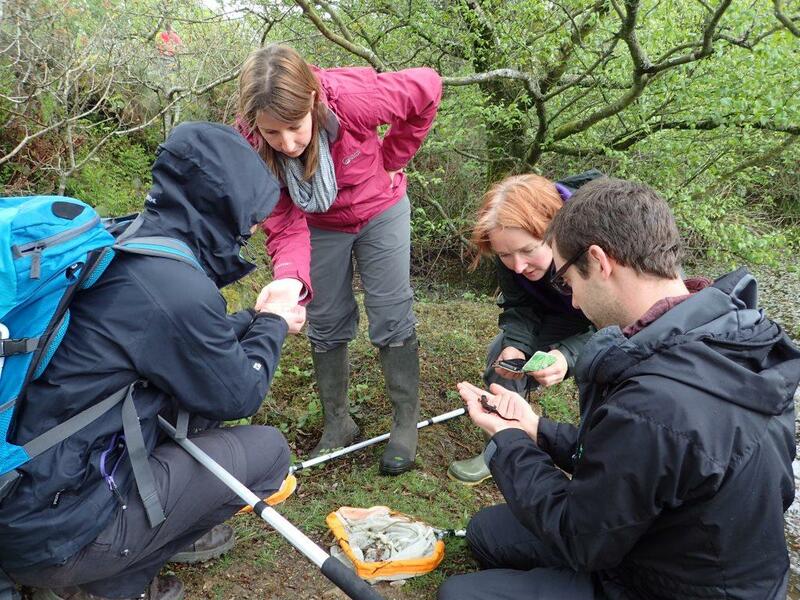 For more on the surveys read the trainees blogs for the month here. Blackdown Common is an open access site and offers stunning views and some lovely walks. 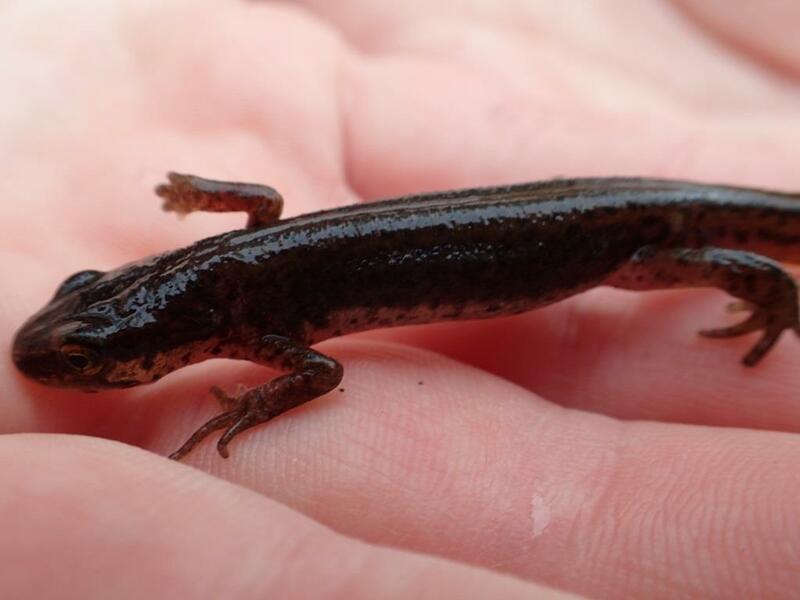 However - if you visit the ponds, do not try to catch any newts, due to the legal protection of great crested newts this could potentially constitute illegal disturbance.